The Office of the Executive Vice President is headed by Executive Vice President Teodoro J. Herbosa, MD, FPCS, FPCEP. EVP Herbosa has extensive experience in Trauma Surgery and Emergency Medicine. He was Undersecretary of the Department of Health from 2010 to 2015, where he achieved the department’s objective of implementing Universal Health Coverage. He was also Coordinator of Foreign Medical Teams during Typhoon Haiyan in 2013. Herbosa is also a former Board member of the World Association for Disaster and Emergency Medicine (WADEM); an International Associate for Johns Hopkins University, implementing the Hospital Preparedness for Emergencies (HOPE) course (PEER Program; USAID); and a member of WHO Safe Surgery Saves Lives Task Force that developed the WHO surgery checklist. In the University of the Philippines, he started the Fellowship Program for Trauma and Residency Program in Emergency Medicine. He served as Chairman of the Physicians for Peace, Philippines. His awards include the 2011 UPAA Distinguished Award Public Service; 2013 UPAA Distinguished Service Award; 2012 Rotary International D3780 Rotary Golden Wheel Award. He is currently Chief of the Division of Trauma, Department of Surgery, and National Telehealth Center, University of the Philippines, Manila. The EVP position has not always been filled up by the University’s Presidents, but when it has, UP’s EVPs have distinguished themselves as indispensable partners of the President and the Board of Regents in accomplishing the University’s mission. EVP Emanuel V. Soriano, coming from what was then the School of Business Administration, served during the tumultuous martial law years. 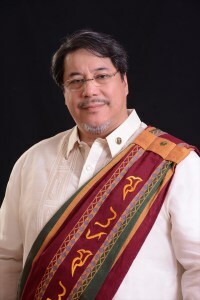 When then-President Onofre D. Corpuz became Minister of Education, EVP Soriano served the remainder of his term as Acting President and then as full-fledged President. Historian Oscar M. Alfonso was a pillar of the General Education program and, true to his professional calling, was looked up to as the embodiment of UP’s “institutional memory.” He served as EVP under President Edgardo J. Angara in the 1980s. He later became a regent. Dean Irene Cortes of the College of Law also served as EVP, and later joined the Supreme Court.